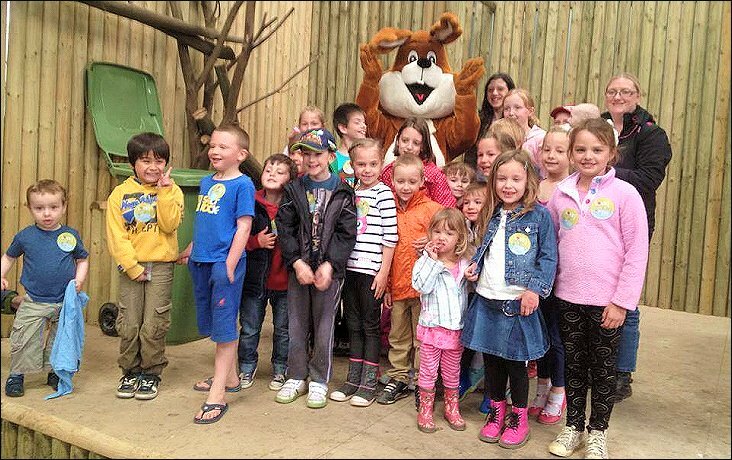 Woodside Wildlife Park Lincolnshire - School Visits. 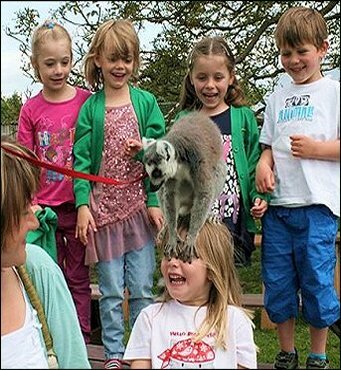 Woodside Wildlife Park is extremely pleased to attract approximately 7,000 school children per year on organised trips. This gives us a golden opportunity to encourage conservation through education at an early age. Our ranger guided school visits are suitable for key stages 1 - 4 and cover a wide ranging group of curriculum linked activities. Science topics such as life cycles, habitats, rainforests and adaptations link very well with maths topics. School visits start from 10am, where we meet and greet Poppy the parrot, assemble all the pupils and teachers for a safety talk and divide in to groups for the ranger led guided tour of the park. Guided tours are a brilliant opportunity for the rangers to focus on the individual group's educational needs, whether you're focusing on nocturnal animals, habitats or just after a fun day out we will tailor your tours towards your choice of topic. After your guided tour all the groups sit and watch our 12 o'clock bird display, watch our owls fly, falcons soar and caracaras cause mischief. After the display you have time for lunch in our indoor picnic area or outside enjoying the sunshine. After lunch we will watch our predators being fed and listen to keeper talks followed by a hands on session meeting our reptiles, hold a snake, stroke a lizard and meet our tarantula. After these shows there is just enough time to visit our gift shop, wash your hands and get back on your coach for your journey home.